This activity comes from Education.com! Kids mash two creatures together to create a new animal! After they create (draw or photoshop) their creature, have them name it and describe its special characteristics. Where does the creature live? Have kids describe its habitat. What does it eat? What eats it?! How is it adapted to its environment? 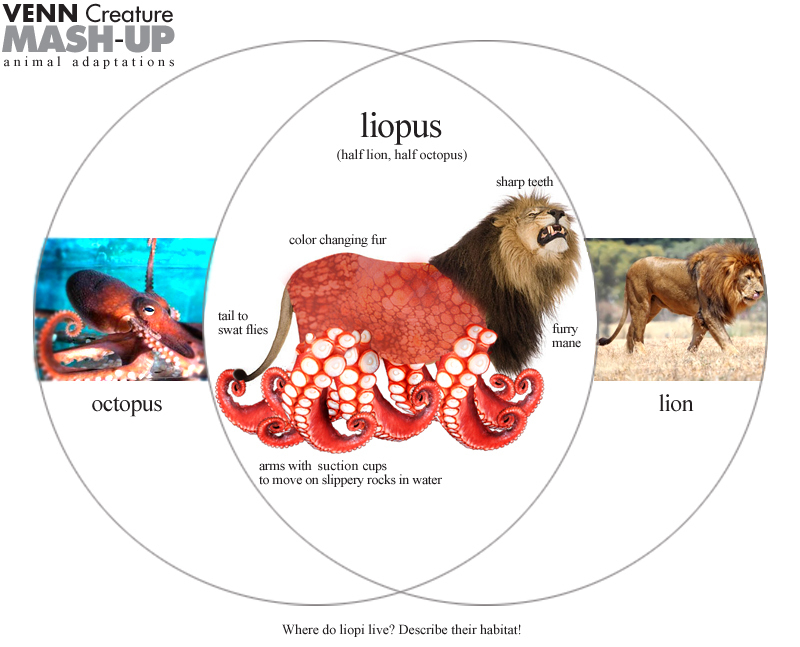 You could also have kids construct their creature using model magic, once they finalize their sketch on their Venn diagram. If kids need a little inspiration, have them check out Build Your Wild Self (click here for an example)! Oh! What a good idea!! I love your blog!